Even for aid agencies with a longstanding presence in Afghanistan, the challenges of securing access are growing. Problems caused by the insecure and fragmented operating environment are compounded by the uncertainties surrounding the transition to Afghan control of security and the drawdown of international combat troops in 2014. Aid agencies are increasingly being forced to rethink their strategies and approaches, and adopt new methods and mechanisms to ensure that they are able to reach those in need of assistance. The World Food Programme (WFP), the largest operational humanitarian agency in Afghanistan, has worked continuously in the country since 1962. 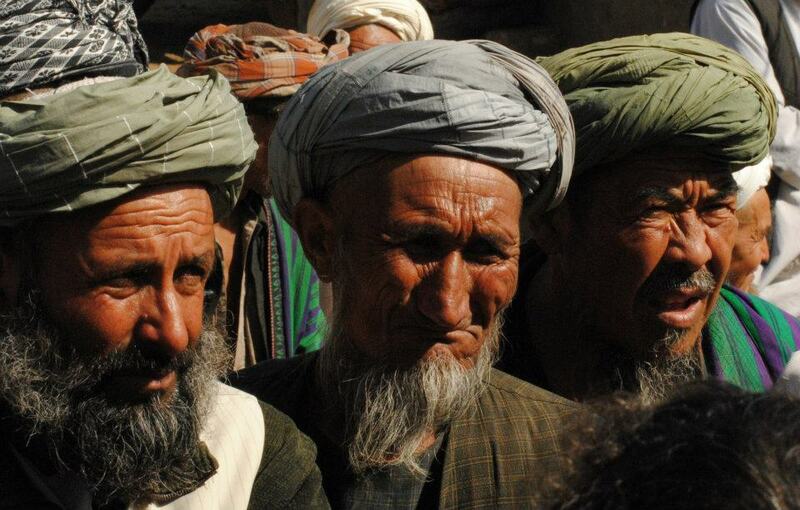 Throughout the Soviet war, the subsequent civil wars and the latest period of conflict following the fall of the Taliban in 2001, WFP has implemented emergency relief and recovery activities, providing food-based assistance to vulnerable communities. The organisation has faced growing operational challenges over the past decade. Since 2006 insecurity has dramatically increased, peaking around 2010–11, and remains a major obstacle, preventing humanitarian agencies including WFP from delivering services in parts of the country controlled by armed nonstate actors. While humanitarian agencies have some form of access to around 80% of the country, access to certain pockets remains a major challenge. Based on February 2013 data, WFP can fully access (i.e. without escorts) 90 of Afghanistan’s 399 districts. Most of these districts are in the relatively secure provinces of Badakhshan, Balkh, Bamiyan, Kabul, Panjshir, Samangan and Takhar. Otherwise WFP must access districts either using armed escorts, or can only venture to the district centres, not into more remote territory. In more volatile areas, such as the southern, central, south-eastern and eastern provinces (Helmand, Ghor, Kandahar, Ghazni, Khost, Kunar, Logar, Paktya, Paktika, Nangarhar, Nuristan, Uruzgan, Wardak and Zabul), WFP can only access districts using national or international nongovernmental organisations or contracted commercial entities. In eight districts in the northern and northwestern provinces of Badghis, Farah and Faryab and the eastern province of Nuristan, WFP and its partners have no access at all. In areas that are beyond the boundaries set by the UN Department of Safety and Security (UNDSS) – i.e. areas that UN staffers are strongly advised to avoid for security reasons – WFP uses commercial transporters to deliver assistance, and Programme Assistance Teams (PATs), comprising INGOs/NGOs or commercial companies, such as CTG Global, to ensure effective implementation at the community level. In July 2011 WFP was contracting 80 such teams, rising to 143 by mid-2012. PATs represent six different service providers, ranging from private human resources companies to consultancy firms and NGOs, costing WFP over $2.5 million a year. Originally intended to enable access to Afghanistan’s ‘no-go’ areas, today PATs also work in low-risk areas, where they supplement the work of Food Aid Monitors. Challenges involved in working with PATs include high staff turnover, capacity limitations, the near-total absence of women in the teams, management problems at the field office level and disputes over differing salary levels. These issues have been addressed through new Field Level Agreements, investment in intensive training, revised roles and responsibilities and changed management and recruitment arrangements. This ensures that PATs can conduct feasibility studies to assess needs, understand the concepts behind WFP’s portfolio of activities and use the WFP monitoring toolkit and follow WFP’s reporting requirements. Commercial transporters are identified by WFP’s logistics arm. They follow their own safety and security precautions and are responsible for their own security. WFP has an agreement with these entities whereby, if any food assistance is lost, the agency is reimbursed by the company. WFP is also increasingly working with national and international NGOs that are able to access communities under the control of armed non-state actors. These organisations have usually spent many years working in these communities, gaining their trust and building respect among key actors. WFP is also working through communities to negotiate access with armed non-state actors. WFP very rarely, if ever, negotiates directly with nonstate actors; the most effective method is to use community representatives to advocate on behalf of the organisation. WFP’s experience in Kandahar and neighbouring provinces, regions where the government has little control, is that representatives of communities will often come to WFP or other agencies to report their needs, be they focused on health, education or rural development. These representatives take responsibility for their communities’ food security and negotiate with the actors controlling their territory. Community representatives also frequently take responsibility for handling WFP project monitors’ access and security by securing and delivering letters signed by armed non-state actors. However, these assurances only supplement the risk assessments conducted by the commercial transporters and PAT monitors who physically access the territory, and no broad system of assurance is in place. Relying on community acceptance and mediation can pose risks for those directly involved. In 2009, a community representative responsible for implementing a food assistance project in a district in Kandahar province was seized by an armed non-state actor and accused of distributing American food. After the community explained WFP’s food distribution mechanisms, the man was released and was able to continue the food distribution. 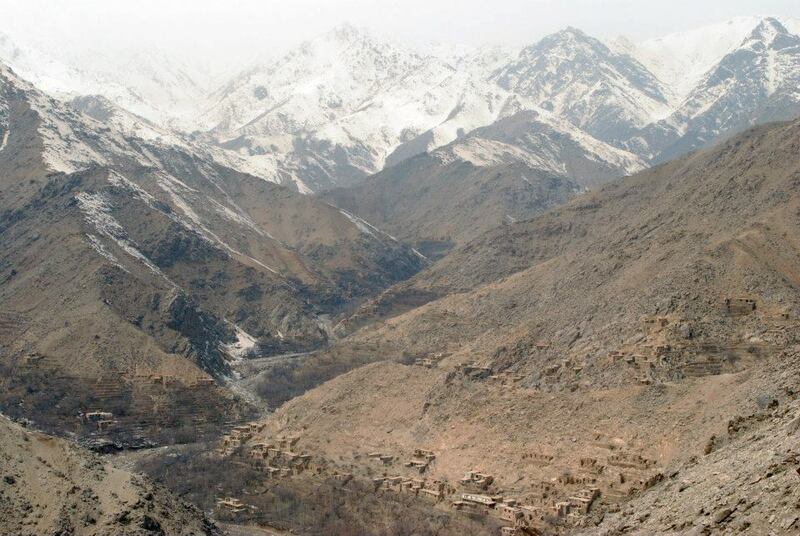 In western Afghanistan, WFP succeeded in negotiating some access to Ghor province based on one national staffer’s unique standing and personal relations in the area. Thus, WFP did not need to rely on the community to mediate on its behalf. The national staffer’s networks and reputation meant that WFP was granted access to a region controlled by a criminal actor not directly affiliated with any insurgency, who had preserved some form of authority over several districts in the province for years. WFP successfully monitored food distributions by adopting low-profile approaches. These examples reflect how WFP is dealing with a range of non-state actors with varying motivations, interests and attitudes. As a result, the organisation has to be pragmatic and flexible to seize opportunities when they arise. In some circumstances, WFP has persuaded local state authorities to speak with armed non-state actors as part of access negotiations. A district-level government representative spoke to Taliban factions in Quetta on behalf of WFP to gain permission to continue a food distribution in schools in a nearby district on the Afghan side of the border. The initial outcome of this meeting was mixed; one faction was in favour of the food distribution continuing, while another was not. WFP worked through an Afghan community representative in Kandahar province, who succeeded in obtaining a phone contact in Quetta. By telephone, he set up an appointment with the Quetta-based representative, outlining the exact purpose of his visit. At the meeting he explained to the Quetta contact that the food was intended for both boys and girls and was coming from a humanitarian agency. Eventually, the distribution (of oil and high-energy biscuits) was allowed to continue. While WFP has worked through communities and other local authorities to ensure that activities support communities in need, there is no structured approach to negotiating directly with non-state actors. Under its new Country Strategy, WFP is emphasising its commitment to address all humanitarian needs, based on an even more pronounced adherence to humanitarian principles. A more structured approach to outreach is now being implemented, including greater use of local radio (in which WFP’s humanitarian purpose is communicated), engagement with local authorities to explain WFP’s working methods and a greater focus on outreach at other operational and strategic levels. It will take time and flexibility to communicate this operational shift and gain trust and acceptance. The organisation can achieve access for limited periods in specific pockets of the country through ad hoc negotiations, but more comprehensive access will only come with greater acceptance among communities and non-state actors. The risks associated with distributing food that is branded with the logo of a NATO troop-contributing nation are clearly felt by these communities. Communities in one district in Helmand province have asked WFP to change the logos, or have sought to re-bag food because of the risks associated with receiving a commodity paid for by a government deemed to be an ‘aggressor’ in their eyes, and no doubt in the eyes of local insurgents. WFP tries to persuade donors to remove logos from food for humanitarian purposes. After a series of meetings, one of WFP’s major donors is now considering waiving the requirement to mark assistance in specific areas experiencing conflict. With the withdrawal of international forces and the PRTs, it may become easier for humanitarian agencies to achieve acceptance. The PRTs were conceived and funded by NATO troop-contributing nations to implement visible, physical construction projects in areas where NATO troops were deployed. They often sought to win the ‘hearts and minds’ of the Afghans, using aid to further a military strategy. This conflation of civilian aid with military objectives, and the disbursement of assistance by entities that were party to the conflict, arguably undermined the perceived neutrality and impartiality of assistance. In parallel, an ‘aid effectiveness’ discourse has seen aid agencies assert their support for the Kabul government, in line with the Paris Declaration, in what has been a conflict context. As a result, aid lost a degree of legitimacy; some humanitarian aid agencies have been targeted by armed non-state actors, and others have lost acceptance in parts of the country that have been fought over. As the withdrawal of international combat troops continues, the focus of aid is likely to swing back to ‘back to basics’ humanitarian principles grounded in the appropriate allocation of assistance according to needs, impartiality and neutrality. In line with this trend, WFP is keen to widely communicate its humanitarian principles, to achieve optimal impact in line with its humanitarian objectives. Harry Johnstone was WFP’s Afghanistan Policy Adviser between 2011 and 2013. Published in the ODI’s Humanitarian Exchange publication, July 2013.